Lightweight, colorful, fun summer tank for boys. Made of 60% cotton and 40% polyester, these white sleeveless tanks provide soft yet machine washable comfort while looking great. 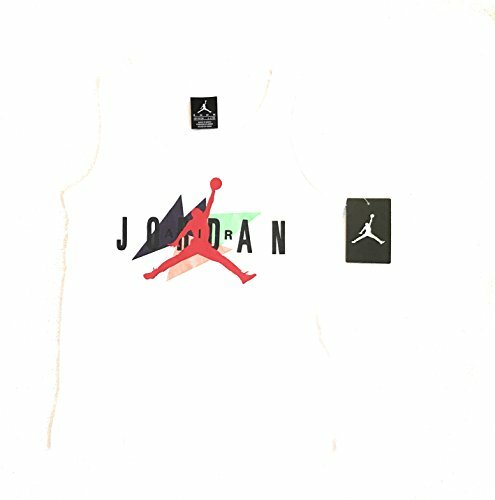 Purple, green, red, orange and black primary colors on the large Jordan Jumpman logo on the front makes any color shorts match! There's a small red logo on back. View More In Tanks & Sleeveless Shirts.